One of the (many) things that concerns most parents is how to properly feed their kids. It’s a topic I get asked about often, so I thought I’d share a bit of my own limited experience so far. Luckily, the first six months of feeding are easy. Babies only need breast milk, or formula, up to that point. 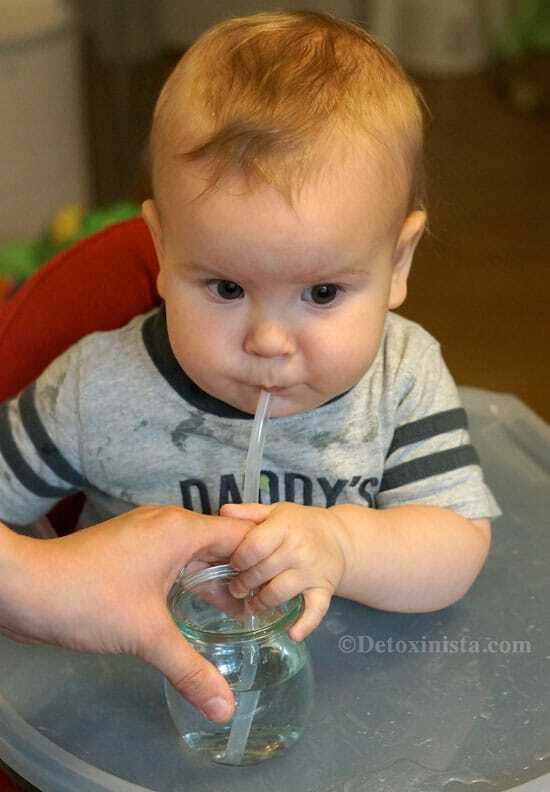 While some pediatricians will recommend starting solids somewhere between 4 and 6 months, the more updated recommendation by the American Academy of Pediatrics and the World Health Organization is that it’s best to start solids around 6 months of age, which gives babies greater protection from illness and allows their digestive systems to mature. You can read more about the benefits of delaying solids at KellyMom.com, which provides evidence-based information on breastfeeding, pregnancy, and parenting. Try a new food in the morning, so you’ll have the whole day to notice any allergic reactions and will be able to get in touch with your doctor, if necessary. Wait 4 days before introducing another new food. Food allergies can take up to 4 days to present themselves, so by isolating each food, you’ll be able to easily identify if any particular food is causing issues for your child. Which food you feed your baby first is completely up to you. I personally started with avocado, followed by steamed sweet potato, but practically any whole, unprocessed food would be fair game. Some experts think fresh fruit should be first, while others think that animal products should be introduced first, so this is just one of those personal decisions where you’ll just need to follow your parental intuition. You may also want to be aware of the foods that were once considered “forbidden” before the age of 12 months– though a 2008 clinical report published by the American Academy of Pediatrics has shown that delaying highly allergenic foods may have no protective effect against atopic disease. Again, this is where you’ll want to listen to your gut! The Weston A. Price Foundation also advises against the common practice of feeding cereal grains to infants under 1 year of age. Update: We waited until our son was two years old to introduce grains, as I felt more comfortable with that. We did offer him quinoa once around 20-months, and he wanted nothing to do with it. 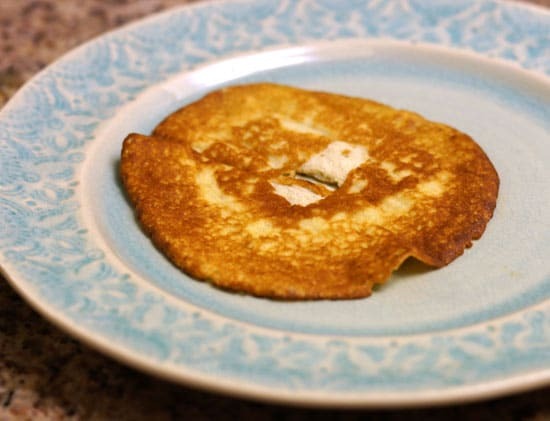 I’ve personally been too nervous to introduce most of these “forbidden” foods to our eleven-month-old yet, though I did try giving him eggs for the first time just this week– in the form of a pancake. This brings me to the topic of Baby Led Weaning. Some parents choose to forgo the purees all together and dive directly into letting their child self-feed with finger foods. The idea is that the child learns how to chew before they swallow, which makes a lot of sense when learning how to eat! It’s really messy, and you may feel like you’re wasting quite a bit of food, since most of it is thrown on the floor or mashed into the high chair. Your child will gag (probably a lot), and may even vomit from all the gagging. It’s the gagging that I have an issue with. Shortly after feeding our boy that pancake, he gagged on a teeny-tiny piece… to the point that he ended up vomiting. It’s SCARY to watch this happen, but it’s also important that you don’t panic or overreact– you don’t want to make things worse by scaring your child and potentially making him choke. He was fine in a matter of seconds, but I was shaken up for the rest of the day. After that recent episode, I’m taking a step back from the finger foods for a couple of days and will be enjoying the method of feeding that my son and I both prefer: purees! For the first month or so, I had to sneak a small spoonful of puree into my baby’s mouth when he smiled or laughed– he would not open it up for food. Once he started willingly opening his mouth to eat, things got a lot more fun! 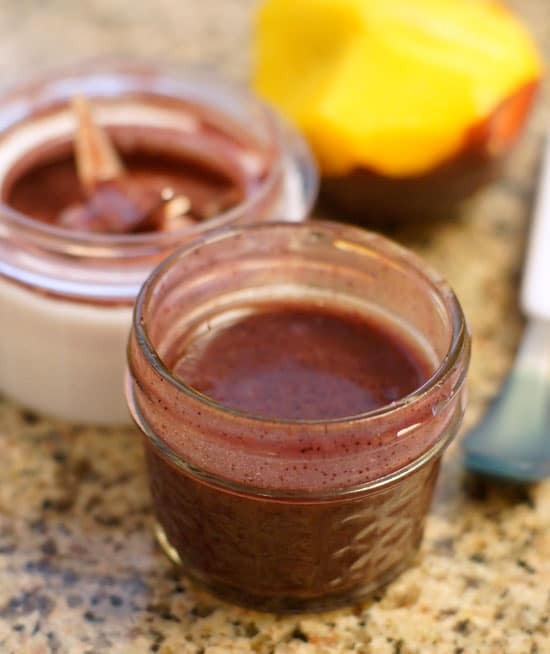 With purees, we started with single fruit blends first, to rule out any allergies. Once we had ruled out a few allergies, we would combine a food we knew he could tolerate with a brand-new food, keeping in mind the 4-day-rule I mentioned above. For example, once we knew he could tolerate banana, we’d blend it with blueberries to introduce them– and we wouldn’t introduce another new food for 4 days. After that, we might add something like romaine or spinach to the mix! We started with pretty liquid-y purees at first, using breast milk or water to thin them out, but now we’re making thicker purees to get our guy accustomed to more textured food. 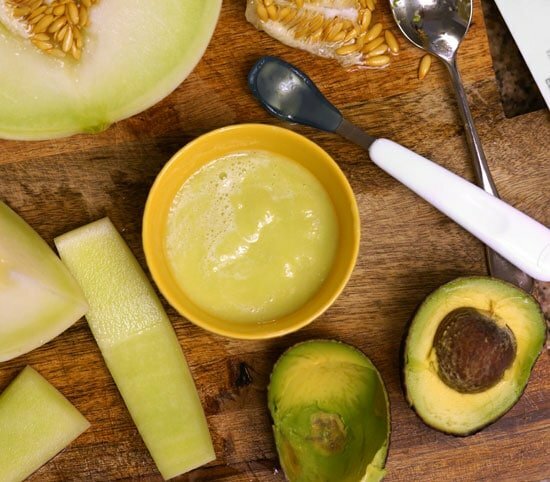 Avocado and fresh young Thai coconut meat are helpful with that, making his food more like a pudding, plus they add a nice dose of healthy fat. For happy eating, it’s also essential that my son has something in his hands to occupy himself. His favorite options include one of our regular spoons or a soft straw. I’ll also let him play with a piece of finger food while I’m whipping up his puree, such as pea-sized sliced blueberries or bananas– but those rarely ever make it into his mouth. So, that’s an update on the baby food front so far. We have yet to introduce grains, dairy, or animal protein yet, but I’m in no rush. Our guy is getting all the nutrition he needs from breast milk, so once he shows more interest in finger foods, we’ll start to experiment with more food groups. Reader Feedback: I’d love to hear from other parents regarding your own experience with baby foods! What was your baby’s first food? And their favorite foods? Hi! I just love your website and have enjoyed every recipe I have ever tried! Just wondering if, for your son, you cooked the spinach first, or pureed it raw? I’ve always used raw spinach. I think cooked would be fine, too, if that makes you more comfortable. One of my Indian friends suggested to make a meal by combining veggies and meat. She feeds her 10months old baby this combined cooked meal twice per day (lunch and dinner): sweet corn, butternut squash, sweet potato, carrot, rice, green beans, beets, califlower, broccoli, and few pieces of chicken. She cooks small portion of all of these and add half of boiled egg before bleending. I’m concerned and curious at the same time that can you actually combine all these veggies and protein together? Is it safe for the tinny stomach to combine everything? As a neutritionist, what’s your thoughts on the combination? By the way, my friend said her baby is has been eating them and digesting the food with no trouble. I have 5 months old and haven’t started feeding garbar or any other food yet. Megan I would love to know your opinion about milk alternatives. I have 3 kids and I was lucky to be able to nurse my first two for longer than 2 years with my 3rd baby I am having a really hard time finding time to pump, my goal is to make it to 1 year but I wont be able to do it any longer… I am not sure what milk I should give her during the day once I stop pumping. Any ideas? Great article. I am contemplating my journey with solid foods now, my daughter is 9+ months old. At around 6 months I began the process, but after a week, it just didn’t feel right, so I put it on hold. She is happy, gaining weight, and 100% exclusively breastfed. She crawls everywhere and I am thinking that in the next few weeks it will be good to begin the process again, slowly, and I want to make the best food choices for her. As little as it may be and the majority of nutrition and overall food coming from me (breast milk) I want to do this just right. It’s a little nerve-wrecking and what to start with, how much, when…any tips would be appreciated. Should I buy an iron supplement, especially if I don’t want to start for another month or so? I have organic pureed carrots, sweet potatoes, spinach, green peas, and various other items in my freezer. Figured I could start with these options and build from there. What good veggies are used with the mesh teether product? Maybe frozen breast milk and peas? So new to this and every site is different, let alone talking to your pediatrician! Baby led weaning is amazing! my little girl has been having big sticks of fruit, veg and healthy muffins, omelettes etc since she was 6 months old. She eats mostly anything if she’s allowed, lol. And I just wanted to add that she has never gagged at all the way people talk about gagging. She has maybe gagged twice since we started 2 months ago. I will agree that is is quite messy though! But it’s just so amazing watching her feeding herself with such ease. ? Do you have any thoughts/recommendations for milk alternatives for a one year old that currently drinks cow’s milk? I am asking for my friend’s baby… He is having allergy issues, so they are trying to cut out dairy to see if that helps any! I don’t know much about baby allergens (no kids yet) so I am pretty clueless. I respect the decisions you make for your little boy so I thought I’d check with you to pass along the information. I apologize if you’ve answered this, but I couldn’t find your comments on the subject. How do you make sure you’re son gets enough iron in his diet? My pediatrician recommended cereal to start at 6 months due to iron needs. He says breast milk does not contain enough and at 6 months the baby needs more iron. I’m hesitant to start cereals but want to make sure my son gets the iron needed. Cereals are fortified with iron, so to me that seems no different than offering your child a multivitamin with iron. I personally feel that our bodies do best with whole food sources, so I offered my son plenty of dark leafy greens in his smoothies (which is also great because iron is better absorbed when paired with Vitamin C, like in strawberries). My son didn’t really eat ANY food until he was 9 months old, and his health and growth didn’t suffer from only having breast milk up to that point. I have a hard time believing that any fortified cereal is better for a growing human than mother’s milk and natural whole foods. You might find the book Super Nutrition For Babies helpful– some of its suggestions are a little too wild for me, but others are very useful! I was wondering when did your son start drinking with a straw? Also, I saw that you recommend we give a cup of water by itself rather than a sippy cup, is that right? 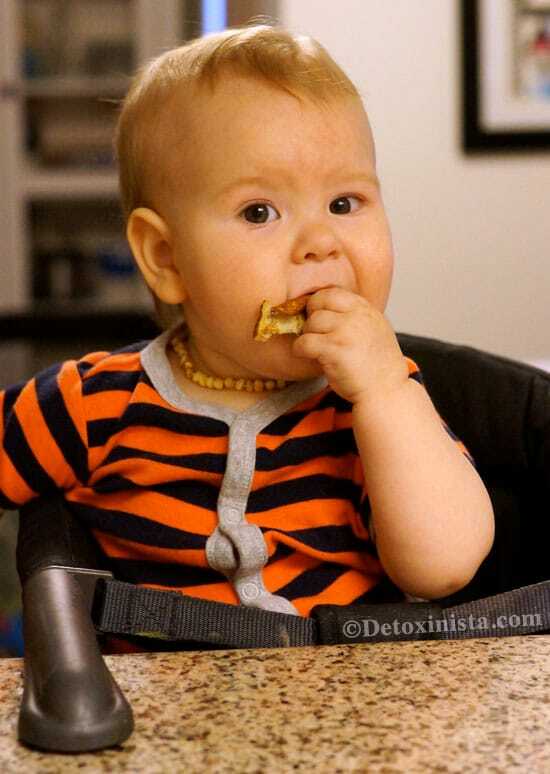 I started baby-led weaning when my baby was 6mo. Her first food was Papaya. It took a while until she became interested with food. We gave mostly fruits at first and she rarely gag. First veg were brocolli and carrot. Both cooked until very soft. She doesnt like to be spoon-fed. Now a month on, she ate a wide range of fruit, veg, and had a taste of chicken liver & salmon. I made a salmon omelette from quail eggs. She loved it! Megan, Do you cook your baby’s food? I have started adding greens (kale, spinach, Swiss chard) to my baby’s food, but all baby food recipes that I have seen recommend boiling, steaming, or baking pretty much everything, including the greens. I would prefer to give them to her raw and just blended, but wasn’t sure if that is considered safe?? For me, it depends on the greens. If I’m adding them to a smoothie for my son, I always use raw greens. For finger foods, he usually does better with the texture of cooked greens. Thanks for this helpful blog post, Megan. Was wondering if you have any advice on how to make sure baby gets enough iron w/o eating iron fortified grain cereal. I would like to stay away from grains, but I’m having trouble figuring out how to make sure baby gets enough iron. Was going to feed my baby liver, but then I read that it might not be good for babies because it has too much vitamin A. So far, I’ve fed my baby avocado, egg yolks, acorn squash, butternut squash, carrots, plums, apples, and bananas. Will start feeding meat this week. Any advice on how to get my baby the required 11 mg of daily iron would be greatly appreciated. Thanks! I just found your site this week, and love-love-love it! I have a happy 10-month old (our first). We try – as hard as we can with two full-time working parents – to be active and continue to eat healthy as we always did pre-baby. We are still happily nursing and introduced solids around six months, too. I was SO excited to make my own baby food purees, but my little guy had other plans. No mush for him – right to the finger foods. Its like BLW was made for him. He is a great chewer, so we haven’t had any gagging incidents (that said, I do cut up the pieces very small). His main likes include: avocado, sweet potato, spaghetti squash, acorn squash, ‘fried’ rice (brown rice or quinoa patties with egg yolk), peas (give a little squish to mush it), plum, watermelon, honeydew, cantaloupe, mango, apple, banana. We just introduced a very small amount of chicken this week. We may try a mild white fish next week. We don’t do any cereals. Good luck and thanks for all the wonderful recipes – they are things our whole family will soon be able to enjoy! I make all my own baby food and the only things on your list of no-nos that I haven’t given my 9-month-old bub are honey (for the reason you stated) and shellfish (for religious reasons). On the other hand, I keep both my kids on a vegetarian diet with a small amount of fish and no meat or chicken. I also don’t believe it’s good to give kids milk, as it is so highly correlated with childhood onset diabetes development. So to each his own! Great article! I too have followed the Weston Price research, although we don’t do everything we say, there have been a lot of changes in this house! I must say though, the doctor told me not to separate the egg anymore as they CAN have the white before a year. I thought, well that makes sense, as that’s how it’s been created in nature for us to eat….so anyway, our daughter is only nine months and really, really likes eggs! She doesn’t seem to react, but I was wondering if you had heard of that. Thanks for article. My eldest has food allergies so I’m taking my time introducing solids to my youngest. Do you recommend bone broth from 6 months? What are your thoughts about raw milk? I’ve had some doctors tell me it’s tolerated better than pasteurized milk but I am a little nervous about raw milk. I’m getting ready to wean my daughter but I can’t decide what to give her. Dairy and tree nut allergies run in the family. When I weaned my son at 14months (I was already 5.5m pregnant with the 2nd), raw cow’s milk was a no-brainer, since that’s what we had been buying since I got pregnant with him. My family has a history of lactose intolerance (most of my siblings couldn’t drink milk, and my mom couldn’t drink any while BFing them bc it would cause tummy troubles for the babies), but in spite of that, my son had no trouble with raw milk! Goes to show that my family had trouble with milk just bc they drank pasteurized milk, devoid of any natural lactase (which breaks down lactose). Due to the fact that raw milk operations are typically pretty small, I’d say your risk of bacterial infections through the milk is practically nil. Any time any extra raw milk I had went bad, it would end up a cultured kefir-type drink, nothing like the smelly bad milk that results from pasteurized milk (shows bad bacteria taking over). The only thing to consider is what to give your child when he’s sick, since cow’s milk does result in more mucus production. We get raw goats milk for him and it really does seem to help with congestion. Ideally, we wanted him on raw goats milk but due to its prohibitive price during the winter season (when there’s typically a shortage ), we just buy it when he’s sick. We’ll probably buy more of it in the spring. Hope this helps! I agree that with so many different recommendations, it really comes down to what you are comfortable with feeding your child. I love your banana-egg pancake and would love to see more creative ways to do finger foods like that. Thanks for sharing your experiences so far. Your little guys is adorable! My daughter (14 months) is a great eater. We started at 6 months, although she was definitely showing all signs of readiness by 5, with homemade pureed sweet potato. We followed with avocado, her fave! I also pureed some green beans, banana, broccoli, spinach and the like, waiting 3-4 days between foods. Around 9 months I gave her egg yolks – a little early by some opinion. I watched her carefully (no egg issues on either side). She did fine. by 10/11 months we started giving her small pieces of meat (she had 6 teeth). Never needed to puree meat for her. Now she eats pretty much anything we do. Hubby sneaks her some crackers and such that I don’t approve of and I have given her small amounts of rice and beans twice recently, but otherwise she is grain and dairy free. I love sharing my smoothies with her. She just doesn’t like anything with peas in it (flavor) or whole chucks of carrot (texture? she’ll eat puree carrots), but everything else has been good. Another thing, I still have to cut up super tiny cooked greens or puree them. She spits out any leafy veggie. I’m hoping she’ll grow out of that soon. I’d love to start giving her small green salads. I love reading about new moms BF so long! Great conversation. My daughter nursed until almost 4 years – I let her self wean. Our first foods were around 8 months and were avocado, sweet potato but I used my vitamix to make a tonne of blended foods for her – I would cook (in a little bit of water) leek, sweet potato, squash (whatever I had)then puree it. I would sometimes add some chicken or beef into the blend too. She never had strictly pureed meat. Her breakfast for a long time was mushed avocado, mushed banana with a dollop of pureed mango (which I pureed and kept in a mason jar in the fridge) Lots of fruit purees too. She was a tiny little girl but she ate SO MUCH as there were no fillers (ie grains) in her food. Never a constipation issue or allergy issue. Today she doesn’t do well with pasteurized dairy and she only gets that when she is out with someone other than us (ie grandparents etc). We didn’t introduce grains until 18 months and introduced raw cheese around 15 months (which she loved and still does). We never used any cow/goat milk at all and still don’t to this day (she is almost 6). She loves food and eats so many veggies I am still amazed. Today she eats all the real-food I prepare. What a handsome little one!! I love that you’re not baby baby baby all the time on the blog (especially with photos – it makes the ones that you DO post that much cuter! Hi! I can totally relate with this topic as my 20 month old breastffed exclusively until he was 11.5 months. I actually started him on runny egg yolks, bone broth (bison) and banana. We tried things slowly and really what’s the big rush? He’s still breastffed a lot and eats great. No grains, dairy or processed food for him and it shows. I’m hoping to not have any grains in his diet at all. We eat mostly paleo except for coconut nectar as sweetener in baking and a few items like that. He loves loves loves buckwheat porridge with hemp seeds, chia seeds, banana, hemp oil and blueberries.. Heck I love it!! :)… When the time is right your little guy will naturally eat more. I say enjoy your time, don’t listen to the pressure that people put on you.. Love your blog..
Love this! What are you considering for a type of milk after weaning (if any)? We’ll be approaching the one year mark soon & I’m researching options. At this point, I’m not planning on ever giving him any sort of milk as a beverage or nutritional supplement. I hope to breastfeed until he’s at least two years old, and after that we’ll probably just do a splash of homemade almond milk when it’s needed for cereal or something of that nature. I have used a mesh feeder for three of my four, more out of necessity than anything. It’s difficult to feed a baby when you have other kiddos who need food as well. It might be helpful for texture transition. They are messy, but feeding a baby is pretty messy anyway. We have always focused on fruits and vegetables for the first few months of solids, and then move on to things like yogurt, cheese, and eggs closer to a year. I’ve never really given meat until they have molars because pureed meat just seems gross to me, but that’s just me! Great information for new or soon to be mommas! Pureed meat sounds gross to me, too! Perhaps we’ll try the mesh feeder again– so far, he’s only liked ice cubes in there for teething. I make a lot of baby food (and just food ;)) for my kids (14months and 3.5 years) & have learned a lot. I tried the pureed meat, it was disgusting! A tip that worked for us was making more like a sticky crumble…..Cook the chicken, let it cool, then process in a food processor, adding bone broth (or other liquid), if needed to make it sticky. It should be like sticky ground meat, but not a puree, don’t over process. Then I’d mix an individual serving of that with a puree serving (butternut squash, carrots….). There would still be very tiny soft chunks of meat. I usually did a puree with a soft finger food, until they got molars and can handle more finger foods. The super soft cooked foods worked for us as finger foods (carrots, sweet potatoes, butternut squash….). And very ripe avocado is the easiest go to ;). Oh and with baby #2, out of desperation I found frozen, defrosted strawberries, cut up small works as a starter finger food. Keep up the good work mommy! Thank you for all this great information! I recently found out I’m pregnant and will use this for reference later on. I’m looking forward to your cook book! Have you seen these? Like your son, my son also gags on the tiniest amounts of food (11 months old), so I do lots of mashing and pureeing. The Sili Squeeze is so great. It’s reusable and super easy to use. I found it at my midwife’s boutique, where I heard people raving about it. It’s everything they said it was. Your son is adorable! Anyhow, breastfeeding is a topic I’m pretty passionate about. My firstborn daughter had ZERO solids, liquids or anything up to a year of age. She is doing wonderful, no allergies, hardly ever gets sick. My second born daughter, Esther was born with congenital chylothorax.- a condition where liquid seeps into the lung cavity and they can’t process fats, not even breastmilk! I freaked out being told by the hospital that my daughter would never be able to process fat and would be fed through tubes her whole life, if she made it at all. After all, essential fatty acids are critical to brain development! Long story short, we ignored the doctors and bought a centrifuge online to spin my breastmilk in order to get out the fat- essentially, we made fat free milk that my daughter could handle. The hospital was freaking out!!! But it worked, after 3 months in the NICI, the breastmilk is what healed her and allowed her to come home!! We shudder to think of what would have happened to her and her brain if we listened to the docs on this one. Now, she is a thriving 2 year old who still nurses for comfort, she eats good food, nothing processed here. People tell me all the time to wean her that she shouldn’t still be nursing, but I realize what a gift it is. She skipped the pureed food altogether, has never liked it. What an amazing testimony you have. Thank u for sharing. I can relate! Good advice! I’d never heard of the solids first method… interesting, although I think that I’d freak out too. I had always heard to introduce fruits last to help avoid a major sweet tooth or preference toward sweets.